In a close battle, Mazda’s MX-5 held onto its narrow lead to beat the fast-finishing Honda S660 mini-sports car to win the Car of the Year Japan award. At an award ceremony held at the Tokyo International Exchange Center in Tokyo Bay, the MX-5 sports car tallied 442 votes, pipping the Honda S660 mini-coupe by 41 votes when the last of the sixty juror’s votes were read out. The BMW 2-Series, which finished in third place, totalled 177 votes to pick up the Import Car of the Year gong. This win gives the Hiroshima based carmaker back-to-back car of the year trophies after it captured the major prize last year for the Mazda2. 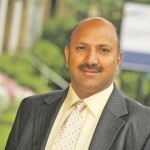 Accepting the award, Mazda’s vice president in charge of product planning and head of the company’s Skyactiv technology R&D, Kiyoshi Fujiwara, said: “We went through some tough times during the financial crisis and 2011 earthquake, but we stuck to our founding principles and created a winning formula. The Suzuki Alto picked up the Small Mobility award, while the Tesla Model S, entering the award process for the first time in Japan, won the Innovation award. 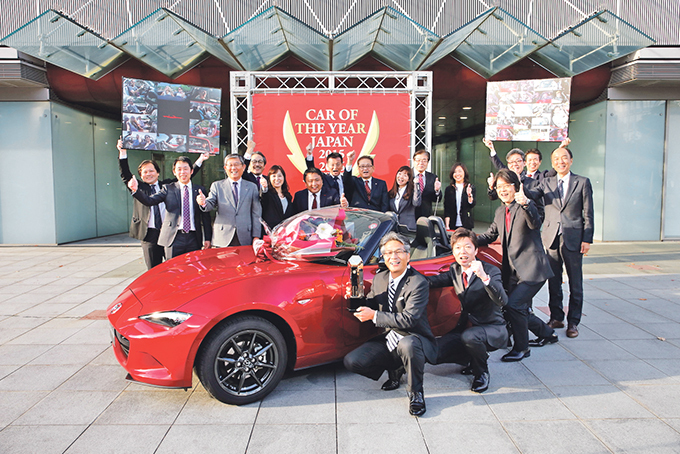 The Car of the Year Japan steering committee’s Special Award was presented to two companies this year. The first award went to Japan’s largest car importer Yanase, an acknowledgement of its 100th year in promoting import car culture nationwide. The second trophy was presented to the Toyota Mirai – which did not meet the criteria – to enter the main award, for its technological achievement in advancing the spread of hydrogen powered fuel-cell vehicles.